South Korea's foreign currency holdings dropped slightly last month amid a strong US dollar trend, central bank data showed Monday. 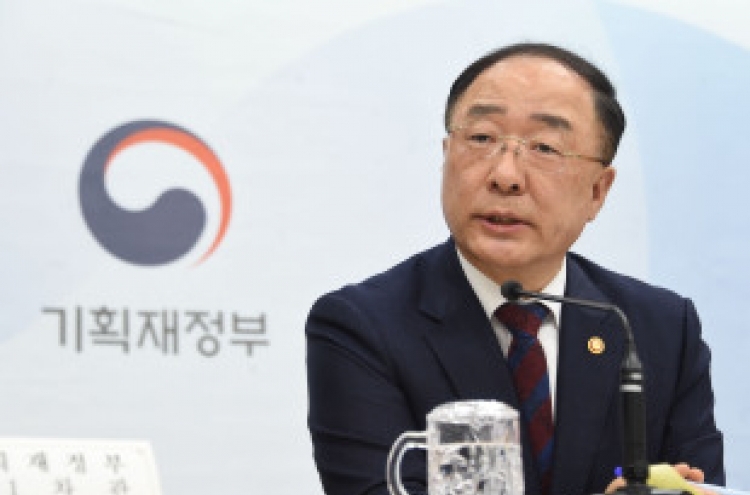 The total value of the country's foreign exchange reserves came to $402.75 billion as of end-October, down $250 million from a record $403 billion tallied in the previous month, according to the Bank of Korea. The BOK said that the recent strength of the US dollar decreased the value of non-dollar currencies when converted into the greenback. In October, the US dollar index rose 2.2 percent on-month against the currencies of six major economies. The value of foreign securities, such as government bonds and corporate debts, amounted to $375.78 billion last month, up $150 million from a month earlier. Foreign currency-denominated deposits fell $440 million on-month to $16.71 billion in October. The country's reserve position at the IMF stood at $2 billion at the end of October, while holdings in gold bullion were also unchanged at $4.79 billion during the same period, the central bank said.